Owning a home in Manitoba may be very different from what you are used to, especially if you come from a warm climate. Furnaces, water heaters, roofing tiles, insulation, dry wall, and shrubs and gardens adapted to our cold climate may all be new to you. You want to protect your home. Attend our free once-a-month workshop to learn how to fix, maintain, and beautify your Manitoba home. 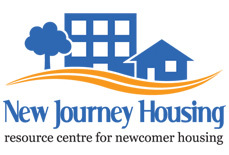 Contact New Journey Housing today to receive a monthly e-mail announcement about upcoming homeownership workshops!